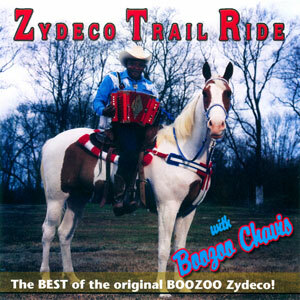 Born October 23, 1930 in Church Point, LA, Boozoo is considered one of the fathers of Zydeco music and his compositions, including his 1955 hit, Paper in my Shoe, as well as Uncle Bud, Dog Hill and Motor Dude Special are standards of the repertoire. Paper in My Shoe is considered by many to be the first modern recording of Zydeco. He was wildly popular and central to the revival of the ‘French Creole’ music after World War II that later became known as Zydeco. 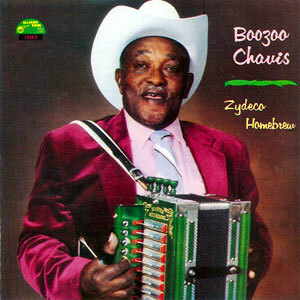 Boozoo’s distinctive sound was a marriage of South Louisiana’s Cajun & Creole French music to Afro-Caribbean blues played on a diatonic accordion. His influence was enormous. 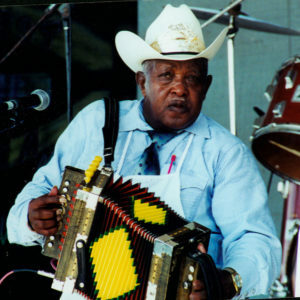 Whereas Clifton Chenier played Zydeco using the bluesier piano accordion, today the dominant style employed by the most younger musicians, uses the smaller accordion that Boozoo championed. Boozoo began playing house dances around Lake Charles in the late 1940s. A farmer, horse trainer and jockey who played dances on the weekends, his quirky songs often threw in barnyard sounds and personal references. Boozoo died May 5, 2001 at the age of 70.